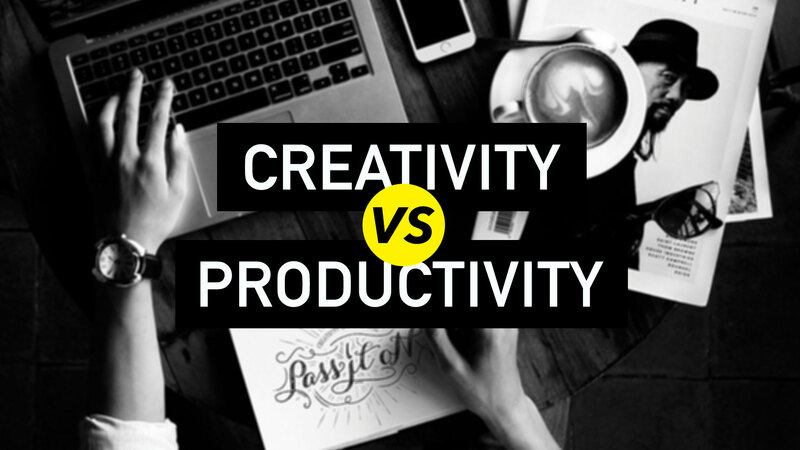 There is a conflict inherent between creativity and productivity. Isn’t there? It seems like a definite dichotomy. It seems very us versus them. But when we start looking, we might notice that the surface differences are based mostly on our preconceived notions of what it means to be creative and productive. No, you do it. I’m not going to define those for you. Get a good working definition of each term. Then you’ll have a solid starting point. What we all need is the freedom to create AND the systems to succeed. We need both creative flexibility and productive routines. The either/or divide is outdated and no longer useful. And it’s true that most of us have a natural tendency toward one or the other. And it’s true the creativity can be used in almost any sort of work or endeavor and will bring more value and meaning and better solutions to it. And it’s also true that productivity can be understood and applied to the type of free-spirit, creative work and bring stability, routine, and structures that enable more creative work to be done in a fulfilling way. Creativity and productivity are not inherently in conflict. We need to drop our stereotypes and examine our principles on both sides. Creativity, for example, often looks like plain old boring work. Productivity doesn’t have to involve files, meetings, presentations, or ABC priority lists. The true test of creativity is not how amazing/wild/interesting/inspirational it feels or looks in progress, but how real, unique, and meaningful is the output. The true test of productivity is not how logical, organized, orderly, understandable it feels or looks in use, but how much meaningful, measurable work is done. If we can get our initial definitions right, and get our true understanding of success in each area right, we can get rid of this idea of conflict. And then we can build understanding and habits of work that marry creativity and productivity. I think we’ll all be pleasantly shocked by the beauty, action, and measurable good achieved by that relationship. What is a Creative Pro? How to Deal with Your Hyperactive Mind That Hates Focusing on Creative Work? Increase Your Productivity by Doing Nothing!